NKU Theatre tackles some complex and challenging material in its latest production, Jose Rivera’s Marisol. Marisol in many ways defies easy description, and I left the theatre struggling to put into words what it was I just witnessed—pre-apocalyptic absurdist theatre? A polemic on social justice? Or just performance art? It was hard to say, and while director Daryl Harris admits in his director’s notes how multifaceted this production is, I think I would have ultimately been more moved and affected if there had been more focus and a clearer vision. The plot certainly defies easy analysis or summary, but here’s enough to give you the idea: Marisol, played by Kearston Hawkins-Johnson, is a young, religious, Afro-Puerto Rican copy editor in Manhattan, inhabiting a world that is slowly falling apart on both a large and small scale. Socially, homelessness is outlawed, citizens are tortured for exceeding their credit limit and neo-Nazis roam the streets incinerating the their targets. On a more global scale, coffee and apples are extinct, all food tastes like salt, and the moon is missing. Amidst this turmoil, Marisol meets her literal Guardian Angel (Je’Shaun Jackson), wings and all, who informs her that he will no longer be able to protect her as he is leading a revolution against an old and senile God who is no longer capable of managing the universe. As the play progresses, Marisol confronts an assortment of characters both familiar and outré as she struggles to understand the new world order and her place in it, highlighted by her strait-laced coworker, June (Ashley Martin) and June’s mentally unbalanced brother, Lenny (a nod to Of Mice and Men? ), played by Calvin Taylor. Marisol includes a lot of background music and dance movement, which were some of its strongest elements. A chorus of four “Angels of Chaos” (Arianna Catalano, Heather Handrich, Grace Vetter, and dance captain Emma Moss) were talented and powerful. The choreography (uncredited in the program with the exception of “dance consultant” Tracey Bonner) was sharp, eye-catching and mood-appropriate. The set, by scenic designer Anna Catton, was dominated by Amazon-logoed boxes, which was a clever enough idea to symbolize our modern consumerism (and I never noticed before how eerie that vaguely smiling iconography was). Still, I think the riotous disruption of Marisol’s world might have been served better by a more vibrant and imagistic set design, perhaps even with some projections. Similarly the lighting effects (Terry Powell) and sound effects (Kevin Havlin) were effective but could have been even more exciting or surprising. The cast of NKU actors bringing this vision to light are certainly talented, and clearly were passionate about this play and put their heart and soul into it. But ultimately I wish that director Daryl Harris had schooled his actors more on the fundamentals. Marisol is full of potent speeches and dialogue but we can’t appreciate them if we can’t understand them. The Stauss theatre is relatively small and I think the issue was more diction and enunciation rather than projection, a concern I noticed with just about every cast member. The blocking didn’t help—although the audience is located on three sides, too often the actors were somehow addressing the back wall. Finally, I just wish he could have had his actors acting as over-the-top as the material required. For the most part, even the oddest characters came off as low-key and I wish they would have tried to imbue them with more personality quirks, outlandish mannerisms or spooky menace. The only character who seemed consistently effective at this was Je’Shaun Jackson as Angel, who dominated his scenes in a weirdly androgynous way, and who I wish was a bigger part of this play. The play’s overriding message seems to be how our society and ourselves are disintegrating, and how we need to actively stand up and fight against it. A sign at the back of the audience—“Wake Up”—reinforces this, but unfortunately this production came off more like a jumbled dream. My impression, based on my own reaction and that of many other audience members, supported by the chatter I overheard during the intermission and at the play’s end, was that we were left with more bewilderment and shell-shock than with the wonderment and engagement that this play is capable of imparting. Marisol continues through the 28that the NKU’s Stauss Theatre; tickets are reportedly sold out, but you can sign up for the waiting list up to an hour before the show and judging from the number of empty seats I saw Friday night, there is a good chance you might get a ticket from the no-shows. This was written by Sheldon Polonsky. Posted on Saturday, October 27, 2018, at 3:46 pm. Filed under Stage Insights News, Stage Insights Reviews. Bookmark the permalink. Follow comments here with the RSS feed. Comments are closed, but you can leave a trackback. ‹ At NKU’s “Marisol”, Expect The Unexpected. Seriously. 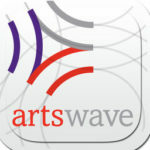 Check out The Artswave Guide for performance schedules and so much more! © 2019 League of Cincinnati Theatres ¶ Thanks, WordPress. ¶ veryplaintxt theme by Scott Allan Wallick. ¶ It's nice XHTML & CSS.